You probably already know that snacking on nuts throughout the day can be good for you, since they’re a great source of nutrients and also really tasty. But a new study shows that there are even more benefits to consuming this snack, like eating walnuts to curb your cravings for fatty foods and sweets. The study was funded by the California Walnut Commission and the Harvard Clinical and Translational Science Center, which is a little weird, but the results are intriguing. Researchers worked with nine obese patients, giving them smoothies every day for five days that included 14 walnut halves. Then, the researchers monitored the subjects’ brain activity with MRIs. After consuming the smoothies, the part of the brain that regulates appetite and impulses, called the insula, was activated when shown pictures of high-fat foods. When they subjects were shown low-fat foods, the insula wasn’t activated at all. The researchers concluded that eating the walnuts affected the insula reaction and lowered the subjects’ appetites. Even if the nuts don’t decrease your appetite, they are good for you! Those 14 walnuts had just 300 calories, which means that combined with other smoothie ingredients, the whole thing makes for a pretty good meal replacement. In addition to having some substance, they’re also full of omega-3 fatty acids, which have been linked to lower obesity and diabetes rates. 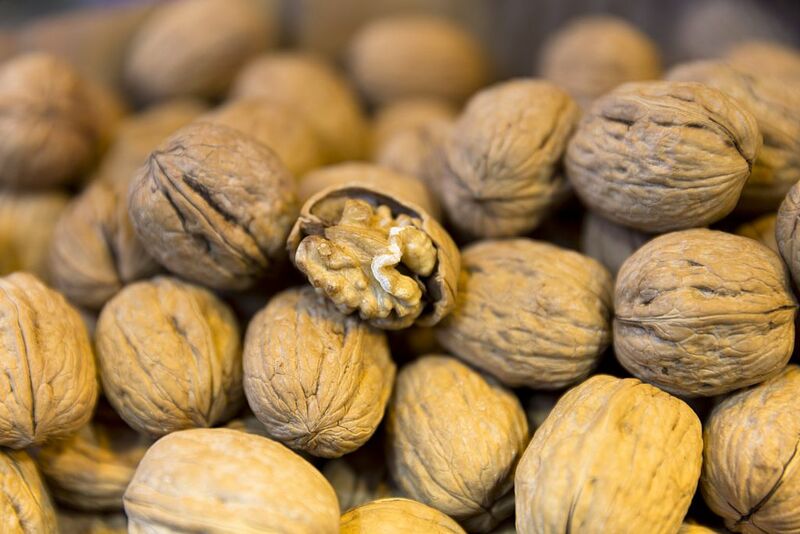 This isn’t the first study that found walnuts are linked with weight loss. A 2016 study out of the San Diego School of Medicine at the University of California also found that walnuts are a good tool for those looking to diet. That’s a dieting trick we can actually get behind. Though we might not stop at just a handful.